Gross Breesen was created as a training farm by Jewish leadership in the mid 1930’s to help Jewish youth immigrate into countries that desired workers skilled in the agricultural sciences. Directing Gross Breesen's day-to-day activities was Dr. Curt Bondy, a charismatic and brilliant educator who developed an invigorating program that balanced hard physical farm labor with lessons on Jewish life, German history and social philosophy. Bondy also stressed taking responsibility for one's actions, the importance of teamwork, and giving back to the community. The stability of farm life at Gross Breesen was a welcome respite for a group of 130 Jewish youth who faced the escalating oppression of Nazism. Buoyed by Bondy’s teachings, these youth matured into strong, capable and confident young adults during their time at Gross Breesen. Moreover, these remarkable young men and women were able to escape from Nazi-tyranny and acheive later lives filled with family and career success. This story of Gross-Breesen, an agricultural training farm for Jewish youth that was established on the Germany/Poland border before the outbreak of World War II. "Gross Breesen," says Steve Strauss "is as much about education as it is about survival." Mr. Strauss, an acclaimed photographer based in New York City who worked for years for the TV News Show 60 Minutes, was first drawn to the subject when he was shown an original photo album depicting Gross Breesen. 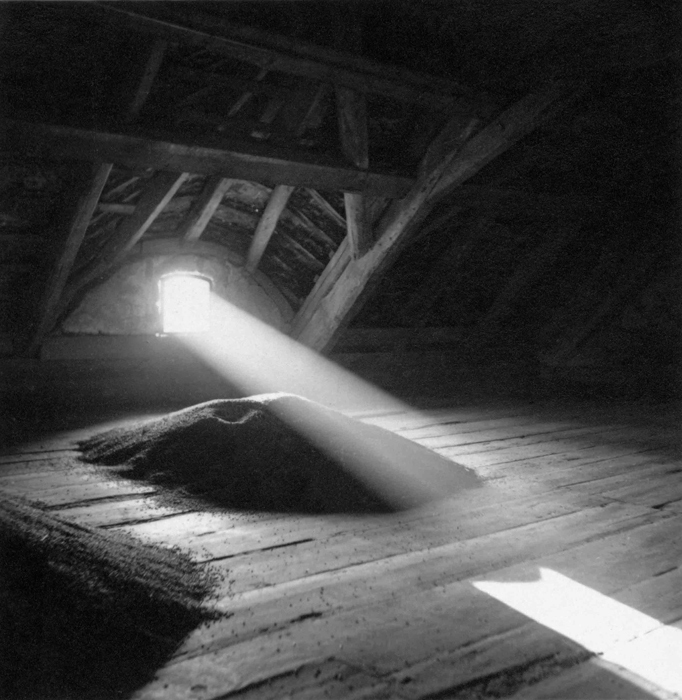 "There was one black and white photograph of a barn interior with sunlight pouring through a lone window onto a triangular pillar of harvested grain," he said. "When I was told where it was taken and what the purpose of the farm was, the idea for a mixed media exhibition immediately came to mind." Dr. Curt Bondy, a charismatic and brilliant educator, ran the 1930's farm. Under Bondy's tutelage, the young men and women were immersed in a program that balanced hard physical farm labor with lessons on Jewish life, German history and social philosophy. The stately aesthetics and the stability of farm life at Gross Breesen were a welcome respite for the group of 130 Jewish youth that had for years been prey to the escalating oppression of Nazism. Through his efforts, many of Gross-Breesen's youth were able to immigrate safety to foreign countries with a need for workers skilled in the agricultural sciences. "Learning Seeds" will focus on this first group of Gross Breeseners, the individuals who took Bondy's teachings and what they learned on the farm out into the world. Their story is a remarkable one, as all contributed to their new communities as farmers, social workers, renowned artists, writers, educators and captains of business. But underlying their success was a profound sense of gratitude for what Bondy and Gross Breesen provided them, and despite their travels taking them to all points on the globe, they continued to "stick together," keeping in touch with letters and reunions to this very day. The exhibition itself is a mix of original photos taken at Gross Breesen, documentary footage and NPR/WJFF interviews of deceased and living Gross Breesners. To this end, several of these surviving Gross Breeseners plus their families will be on hand for the exhibits opening, and will be available to the press for interviews.